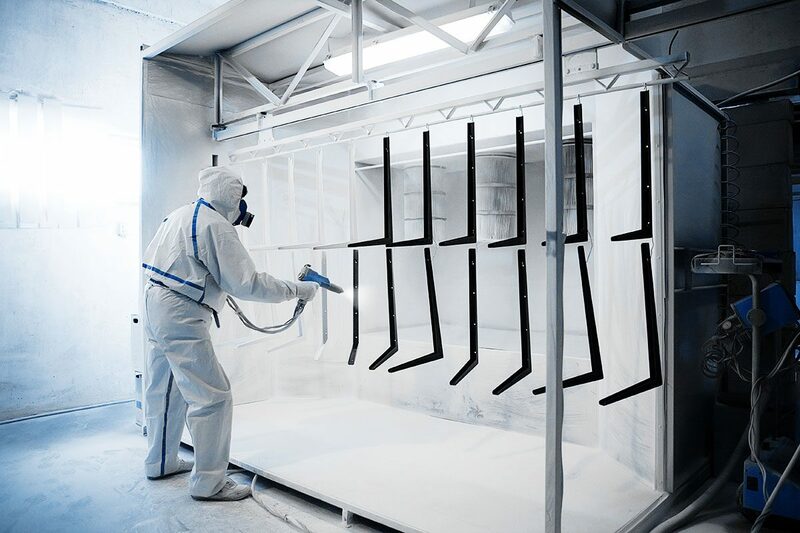 For customers who require a finished product, after fabrication of the part is complete, Metaplas offer an in-house powder coating service. We have the facility to accommodate parts up to 6000mm long, 2000mm wide and 1500mm deep within our powder coating process. The skilled operators at Metaplas are also able to provide perfect finishes by hand and a wet spray alternative. We stock a wide range of RAL and BS colours and finishes including satin, gloss, matt, polyester, leatherette, and texture.